Android market growth in terms of number of installs. 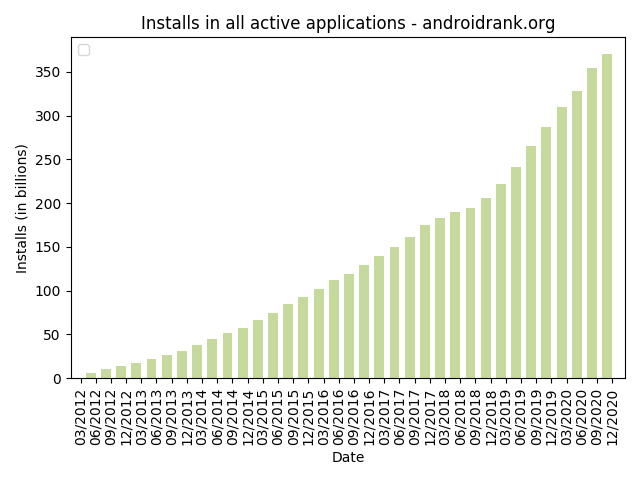 The following chart displays a time report on the total number of application installs. Android market growth in terms of number of ratings. 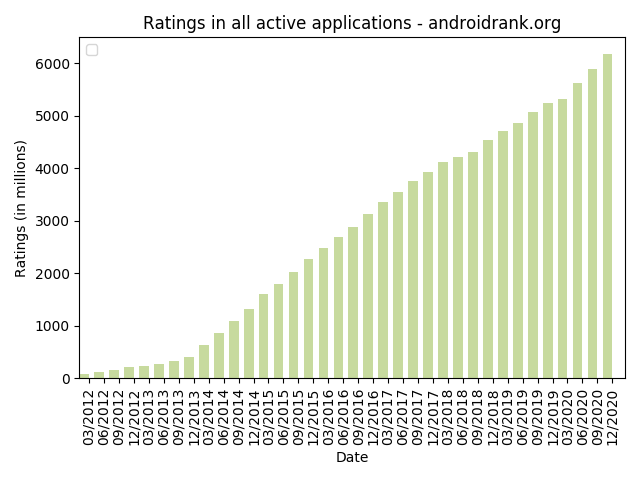 The chart displays the total number of ratings for all active applications. Android market growth in term of number of applications. 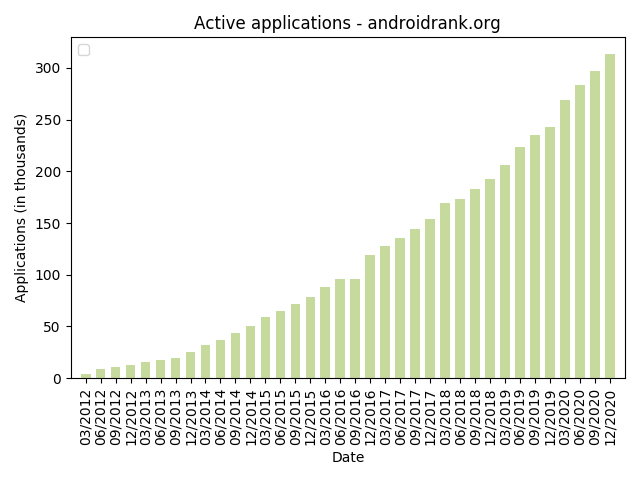 The following chart displays the number of active application over time.